With all the negativity and the continuing angst of an unsettled civilization. There are moments in time that make you stop and put life in perspective, giving rise that there is still wholesome and peace in this chaotic world. There is nothing more precious and inspiring than the innocence of a child. A child has no idea what this world is and they create some of the most beautiful moments in life. 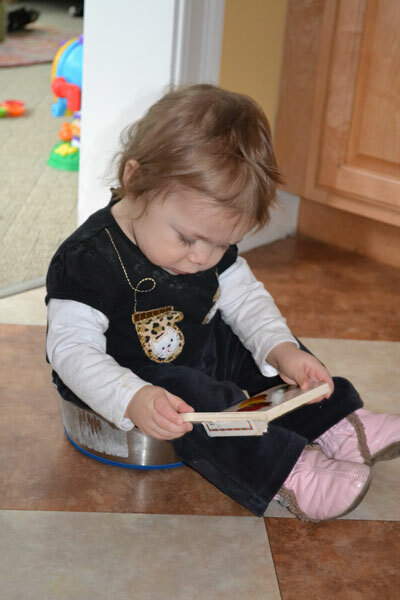 This picture was taken by my wife when she saw our daughter Faith quietly sitting in a dog feeding dish looking at the pictures in her favorite book. It is one of the most cutest pictures I have ever seen and had to share it with you all. Sometimes life can get a little crazy and unpredictable, but it is the gift of a child that can bring you back down to what really matters in life. My little girls innocence and contentment teaches me that life is a precious gift and that we must cherish even the littlest things no matter how hectic and competitive the rat race gets.